Do you have a special event coming up? Want to have a special place to go with your friends and family? Better yet—want to have a nice place to go where you don’t have to clean up after the event? Well look no further! 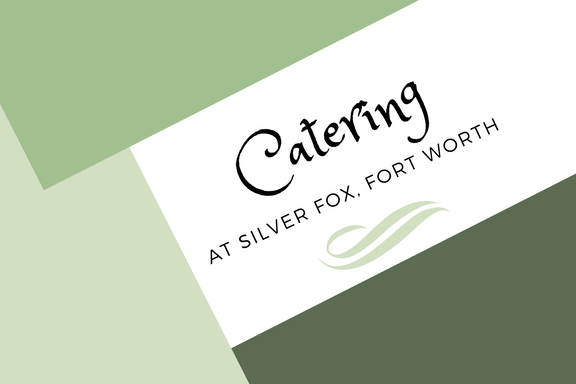 If you are located in the Fort Worth area— our Silver Fox in Fort Worth is the best place to be! We have two different rooms, depending on the size of your party, and a special and delicious menu for your group to enjoy! Please contact us today to book a room! This is our larger of the two rooms available at our Fort Worth location, where it can comfortably sit up to 36 people. Along with being able to fit a lot of people comfortably, there is full privacy and even a beautiful 60-inch flat screen television (i.e. for boardroom meetings and presentations). Depending on the event that you are having, this room can be set up in different ways to best suit your needs! This room is perfect for a smaller get together, and sits up to 12 people comfortably. Even though it is a smaller space when compared to our Trinity Room, we did not cheat out on comfort and design. It is a cozy space bounded by beautiful French Doors. Similar to our larger room, this room has a 50-inch flat screen to be used for whatever you could possibly need! We see it as a perfect option for family gatherings (like a birthday party) and work presentations. Though smaller than our other room, this space is perfect for a group up to 12! **For booking either of our rooms for a get together, please fill out our form! Our staff will happily answer any questions and get you back within 48 hours about your event! For our two available rooms, we also offer a delicious catering menu. This menu includes some of our favorite options available at our restaurant. The best part is, the pricing includes a choice from three different and tasty desserts! Along with this, no matter which entrée is chosen, they all include: (off-the-cob) cream corn, sugar snap peas, potatoes, tea and coffee. No matter what option you choose for your entrée, we promise it will be delicious! Check out our catering menu here! We can’t wait for you to join us! We are happy to do whatever we possibly can to make your special event the best!